Cheers from the champagne tent at Arlington! Hi friends! I've had a bit of a blogging hiatus lately as I've been wearing a few too many hats - in the metaphorical sense, that is. One can never wear too many hats in the literal sense! When a teapot is really a purse! 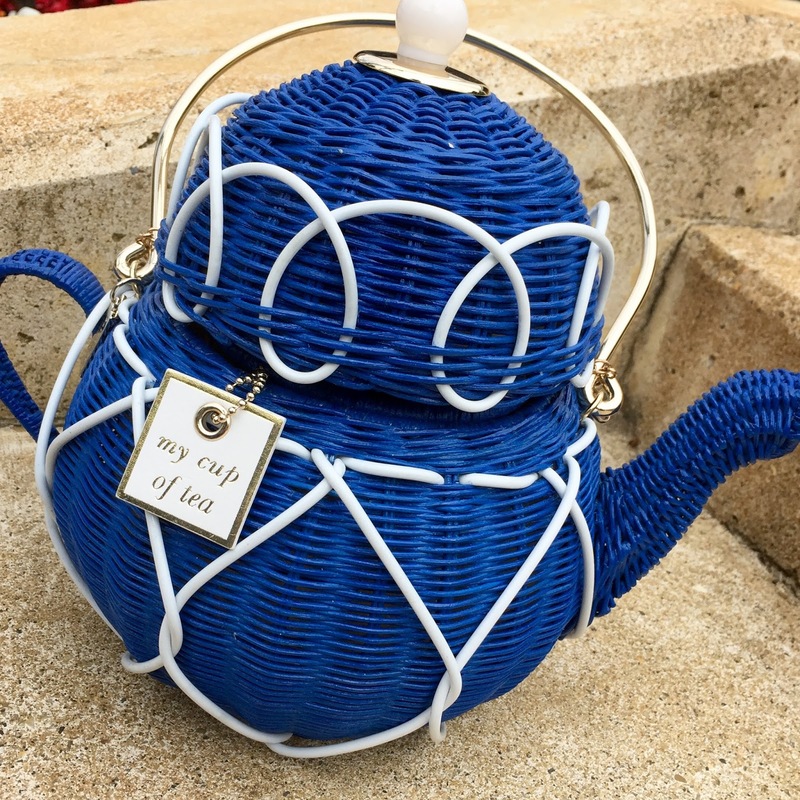 This Kate Spade wicker bag really is "my cup of tea." You can also never wear the same hat too many times if you find creative new ways to style it. 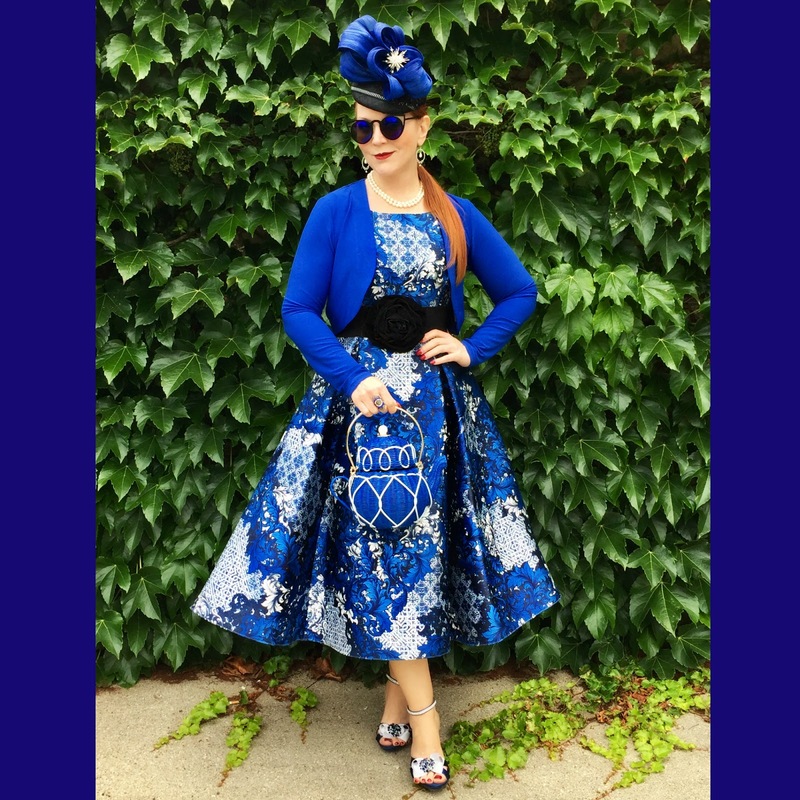 This royal blue, hand formed silk abaca chapeau from Spirit of Harlequin in the UK has been an unexpected "go to" topper for me this year. I first saw this faille dress at Nordstrom but it was more money than I wanted to spend...a few months later I found the same dress, new with tags, on eBay for a third of the original retail price. 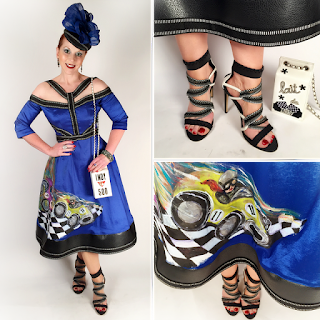 I got it specifically to wear to this year's Indianapolis 500 Snakepit Ball (see the look here). 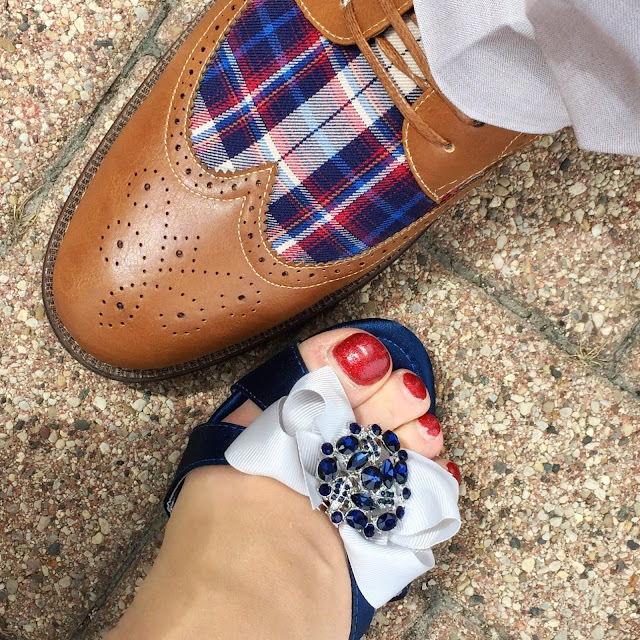 But in August, I discovered to my surprise and delight that with the addition of a vintage brooch and black embroidered lace at the base, it was also just right for the Arlington Million in Chicago. 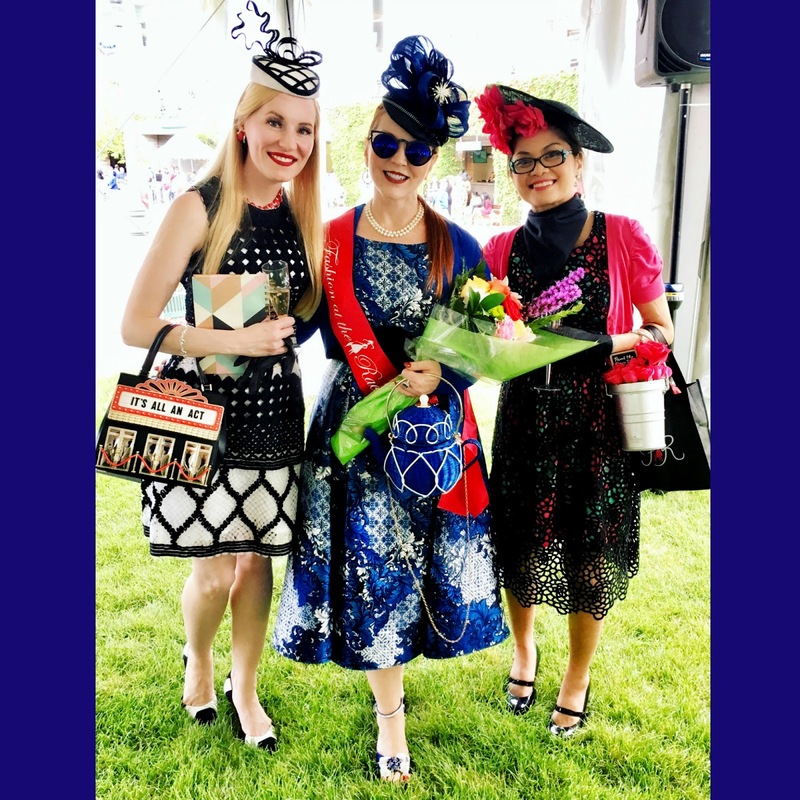 These stylish ladies and I bonded over our shared love of chapeaus and novelty purses! 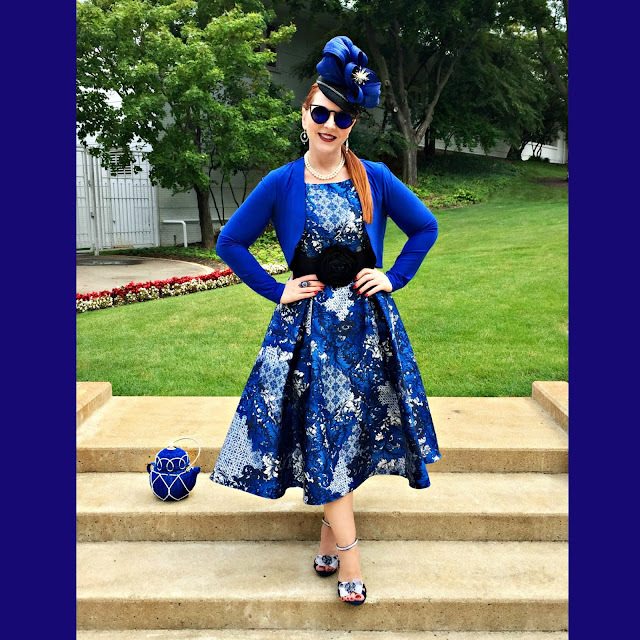 It actually turned out to be such a great complement to my azure Arlington sundress that I won the weekend's "Fashion at the Races" best-dressed woman contest! I was honored to receive the award (and who am I to look a gift horse, or a Nordstrom gift card, in the mouth). But more importantly, my oh so blue ensemble also led to a new friendship with a fellow hat lover and racing enthusiast. 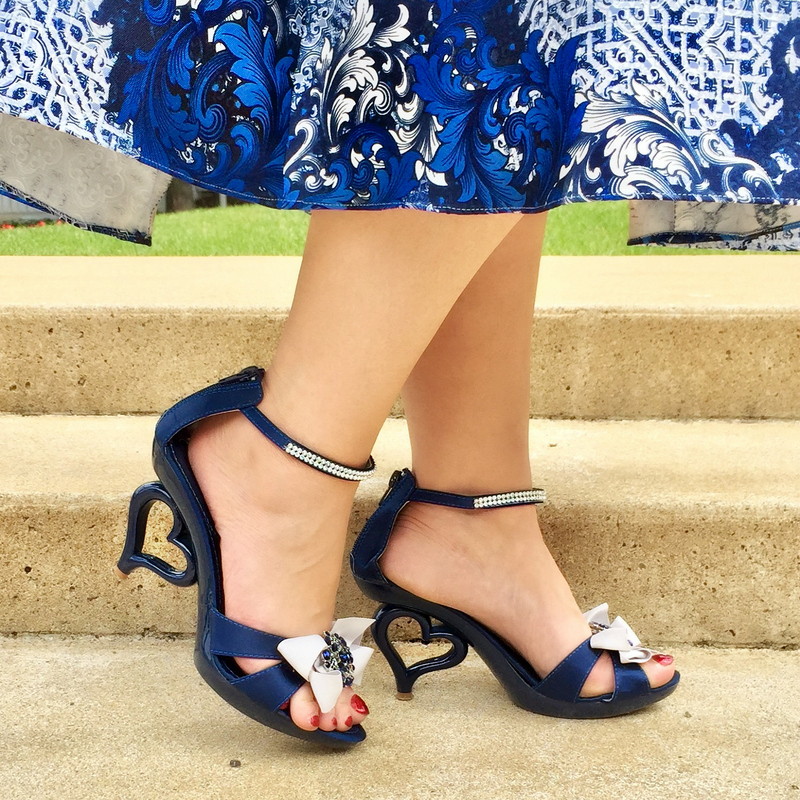 If these shoes look familiar, it's probably because I have them in multiple colors. The heart-shaped heels are fun, but also wear like a wedge, which is great when you're on your feet at the racetrack all day long. I added the clips to further coordinate with the rest of my ensemble. 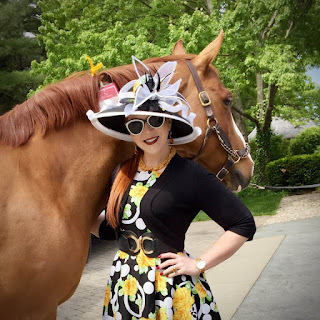 We bonded over champagne, chapeaus, and novelty purses on the backside of the track, and now we're both headed to California this weekend for the Breeders' Cup at Del Mar! 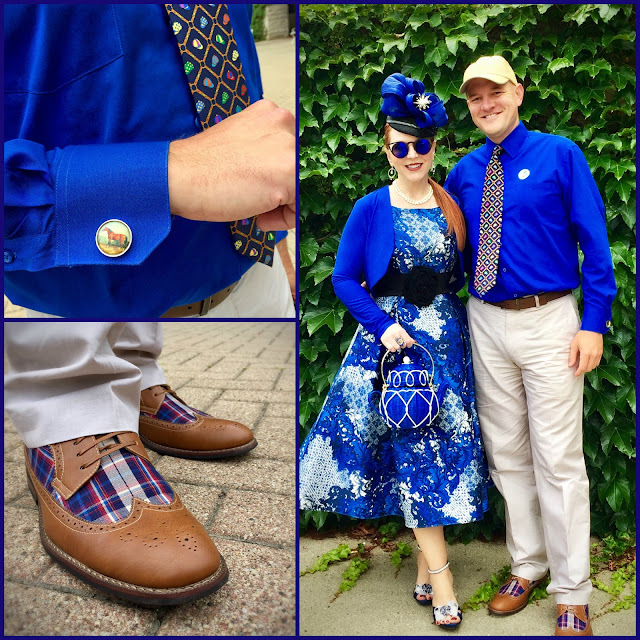 KDef gets styled for the races, too... check out the thoroughbred cufflinks; jockey's hat tie; and those shoes... I really love those shoes! I'm looking forward to sunshine and catching up with my stylish new friend on the West Coast. I've said it before, hats don't just pull an outfit together; they bring PEOPLE together! Congratulations!!! 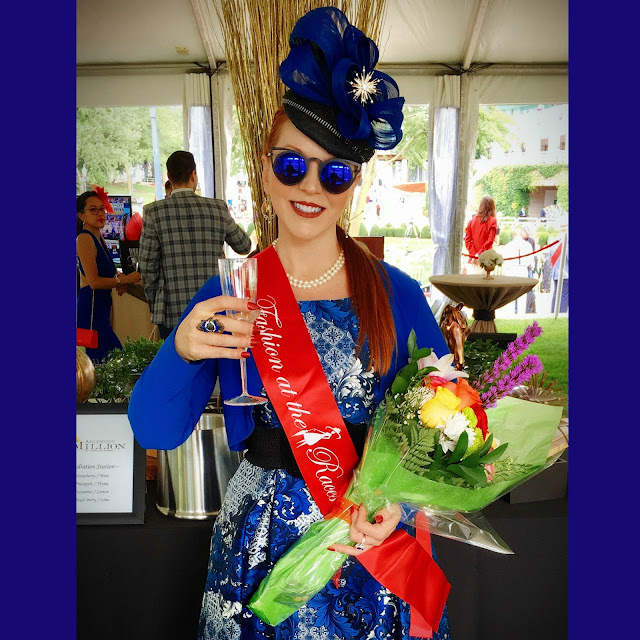 on winning Arlington Million 2017 Most Elegant Lady Award! I had so much fun judging! I am so glad we met on that day!!!! You always look stunning! I love all the details especially your Kate Spade teapot purse! Stunning! If you are going to expatriate and concerned about new way of life, think about booking expat travel insurance for here.